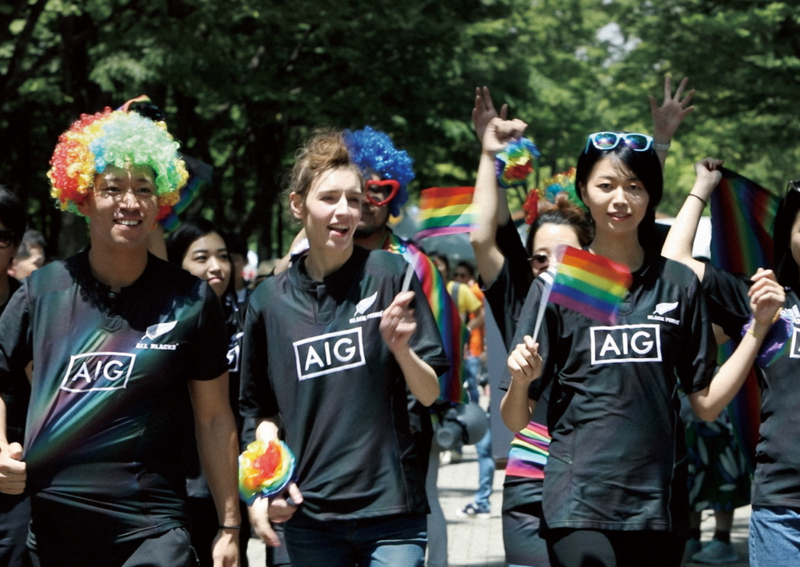 AIG Japan has partnered with the All Blacks to send a message of support, as allies to the LGBTQ community. 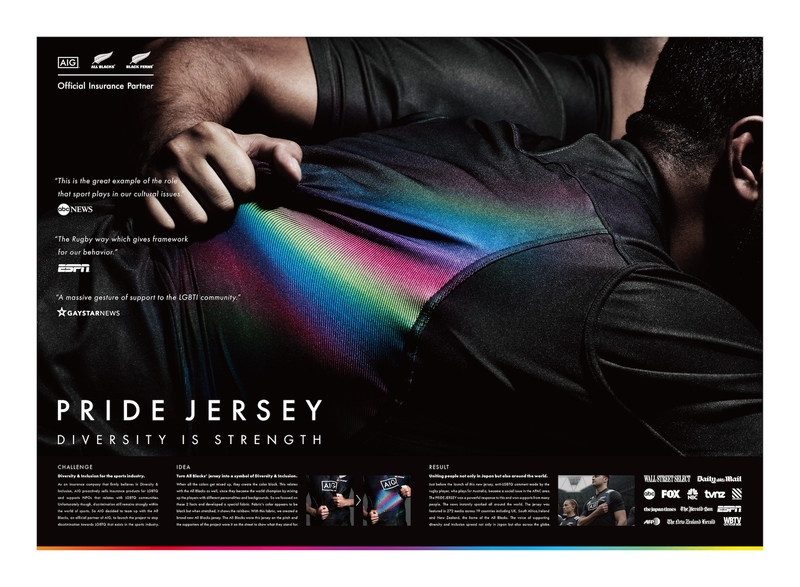 To symbolize the fight against discrimination, we created the PRIDE JERSEY. Made of an entirely new kind of fabric, the jersey is black on the surface, but when stretched, reveals the colors of the rainbow underneath.